With over 20 million sold in more than 100 countries around the world since originating the AISG connector in 2002, Amphenol is the worldwide leader in AISG connector and cable assemblies for the wireless infrastructure industry and understands it's unique interconnect needs. 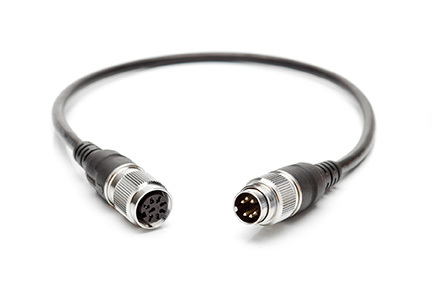 Connectors and cable assemblies for outdoor use have extreme requirements. 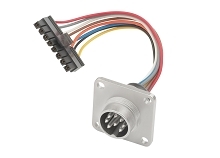 System coupling integrity, temperature, salt mist, and UV resistance are a few of the important criteria a connector must meet. Our AISG connectors are manufactured according to the AISG Standard (AISG C 485). Amphenol has set the standards with our C091 circular connector series. Compatible with industry cables from Andrew, Kathrein,Scala, Ericsson, Alcatel Lucent (ALU), Huawei, Kaelus, RFS, KMW, and many others. First in the market as original innovators of AISG connector systems, we manufacture durable cable assemblies for antennas that are in service for several years in some of the harshest environments on the planet. The AISG-Group (Antenna Interface Standard Group) based in England decided to pass a new standard for AISG connectors within 2015. In the past many defects in the field were detected due to randomly used products. The entire mobile antenna market is basically dominated by 5-6 manufactures. To mention is Ericsson /Sweden, Huawei/China and the relatively fresh fusion of Nokia and Alcatel-Lucent. All of them have on problem in common: Selling their antennas to an operator as Vodafone, AT&T, Verzion or Orange does not control the installation. Here the usage of several different connectors which are not recommended is leading to serious problems in the field. The agreed root cause is the IEC Standard which is simply not sufficient here. This norm (usually IEC 61076-2-106) does not cover the compatibility between two different connector manufactures, which was never intended. Exactly this compatibility is the request on the new norm knowing for other branches this is already implemented. Creating an own standard by the AISG group was the leanest and quickest way which has lead into AISG 4.0. Mainly affected are M16 circular connectors providing signal power to (usually) a Tilt-System of the mobile antennas. 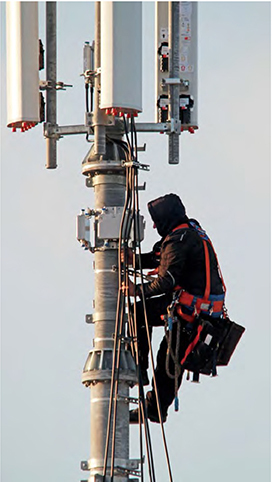 These Tilt-Systems steer precisely the antennas to increase the coverage of mobile traffic. The standard connectors are the products of Amphenol-Tuchel/Germany. They had modified the C091D series in 2002 and are until today still market leader. The Germans (member in AISG group) are the authors of the new standard, in cooperation with international connector manufactures. Most important technical items in the standard are concerning IP67 (water proof), electrical shielding and a corrosion resistance > 720h SST (Salt spray test). Typical requests on an outdoor connector in harsh environment. Go live of the AISG C 485 was in summer 2017. Previous action is a large test program done by independent test houses. Certified connector manufactures will mark their products in future with the AISG logo. Direct impacts of this standardization of the M16-market are the comparability of the connectors and the quality improvements.